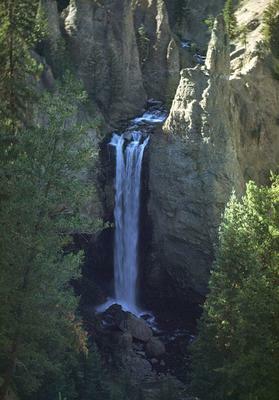 There used to be a large boulder at the brink of this falls as in this photo taken by my grandfather in 1948. As I recall, the boulder was still there when I visited in 1979. It had fallen by 1994 when I visited again.